Looking for a custom truck part that is successful when it comes to both improving the appearance of your vehicle as well as protecting it? 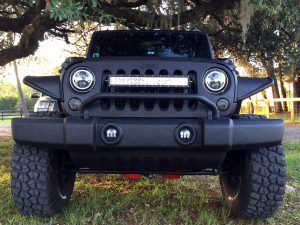 Then you are looking for truck grill guards in Jacksonville, FL, from Safari Truck & SUV Accessories. The grill guards, brush guards, and bull bars offered by our truck accessory shop are some of the most attractive accessories you can add to your vehicle. They aren’t just for aesthetic though. The moment you decide to take your vehicle off the road is the moment you will learn just how impressive our truck grill guards are and why you made such a smart choice getting them installed. 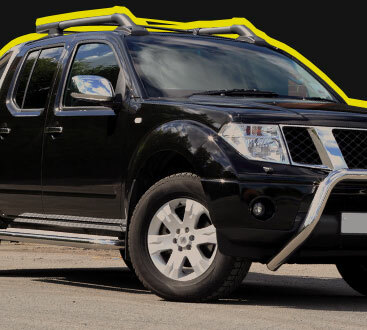 The grill guards we offer are an essential accessory to have when you take your vehicle off-road driving as well as for when you want people to give your truck or SUV a second look in their rear view mirror as you are coming up behind them. Call us today for a personal consultation. Your product choices are not limited by inventory sitting in a showroom, we specialize in JIT ordering. JIT means “Just in Time” which allows us to get your exact item ordered and delivered when we have you scheduled for the install. This allows us to provide the best prices, products and services without limiting your choices. We can show you the products that will provide you the utility or style that sets you ride apart from the rest. Whether you use your truck for work or play we have right products. Your headlights, paint, and vital engine parts play very important roles in both how your vehicle looks as well as how it functions. Make sure they are being protected properly by having our team install our heavy-gauge tubular steel grill guards onto your truck or SUV. These strong, durable, and attractive truck accessories help you avoid the small bumps and damage that can end up becoming an expensive repair if it happens to a vital part of your engine, such as a radiator. Additionally, your brand-new truck grill guards also work as a simple deterrent against shopping carts, off-road brush, and other hazards that your truck or SUV faces in situations as disparate as off-road mudding to parking your vehicle at a supermarket. 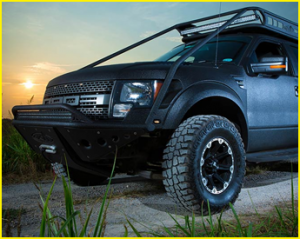 These big, powerful accessories are also commonly known as brush guards or bull bars since they are so good at helping you cut your way through the terrain. Even if you never plan on taking your vehicle off-road, there is still a great reason to consider adding grill guards to your truck or SUV – they will make your vehicle look cooler. The only way to make sure that you get the aesthetic boost you want for your truck, however, is to make sure that your brand-new brush guards properly match your personal style as well as the look of your vehicle. That is when customization comes into play. The team at our truck accessory store knows that you need a grill guard that is uniquely yours for your vehicle. That is why we offer a wide variety of customization services to ensure that you get that one-of-a-kind look you are after. Grill guards are available in a variety of different finishes, which allows them to easily complement different aspects of your truck or SUV. Get the fierce looking front-end you want by purchasing your truck grill guards from us. 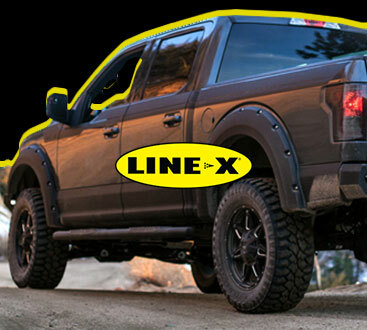 Contact us when you are looking for a wide selection of truck grill guards for your vehicle. Our grill guards, brush guards, and bull bars are perfect for drivers located throughout the communities of Jacksonville, Jacksonville Beach, and Arlington, Florida, as well as the surrounding areas.